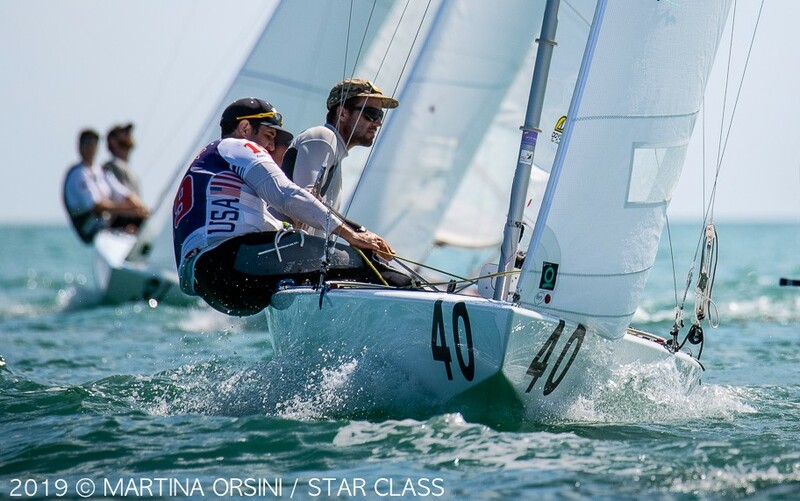 With three races completed Tuesday the Star Junior World Championship is back on schedule. Provisional leaders after four races are American Charlie Buckingham and Star US Olympian, Austin Sperry. Buckingham and Sperry (see image) are tied on 20 points with Tomas Hornos and Pedro Trouche of the USA, with day 1 leaders Luke Lawrence and Alexey Selivanov now in third place on 23 points. British Laser sailor Lorenzo Chiavarini with Brian Fatih (USA) crewing finished the day in ninth place after scoring a 9, 3 and 13. Ireland’s Robert and Peter O’Leary are now in sixth place, with a 4, 16 and 12 scoreline Tuesday.